This article is a step by step breakdown on how to set up an additional charge for different pickup/return locations. To do so, you must first create an additional charge which you can learn more about here. 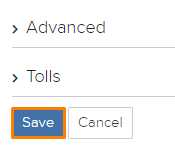 In the additional charge, make sure to select “Yes” under “Hide From Reservations” and “No” under “Show on Website” fields in the “Default Settings” section. Next, make sure that “Allow Return to Other Locations” is set to “Yes” as shown in the picture below highlighted in orange. Thirdly, navigate to “Additional Charges” section. 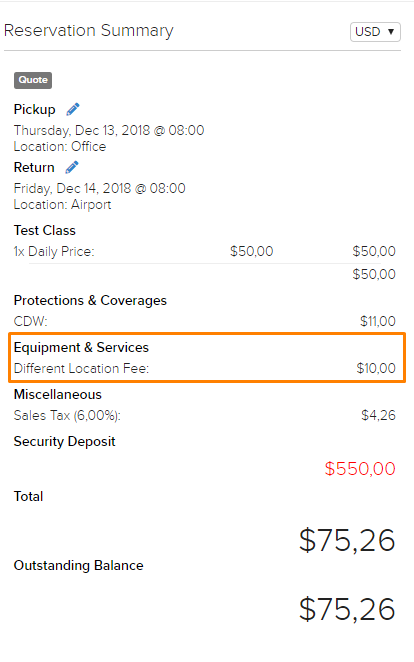 Here, select the additional charge that you have created under “Additional Charge for Different Pickup/Return Locations” as shown in the picture below highlighted in orange. Now when your client selects a different location for pickup and return, it will automatically charge them the fee that you have created in the additional charge as shown in the pictures below. The picture above shows the different location selected. The picture below shows the automatic additional charge of $10 in the reservation summary.